Honey! So I have just finished my first week of work at Shangrila Farms and I couldn’t be more excited. I heard about this internship through My China Opportunity when they came to San Diego State University Entrepreneurs Society. During that meeting I was talking about how I was starting my own coffee business and how I needed to learn more…. Miranda from MCO approached me with this great opportunity to work for Shangrila Farms, which is a Social venture that sells Coffee, Honey, and natural skin care products. I originally thought they only sold coffee but they also have honey! I must have been a honey bear before because I love this stuff! Honey is the all in one for me, a great energy boost with a spoonful in the morning plus it’s great for your overall health! I put honey in my coffee, water, food, cuts, scrapes, and even my face for the natural benefits it provides for your skin. Best of all, honey carries the natural antigens of the environment that the bees collect pollen from so if you have sinuses or allergies it’s perfect! 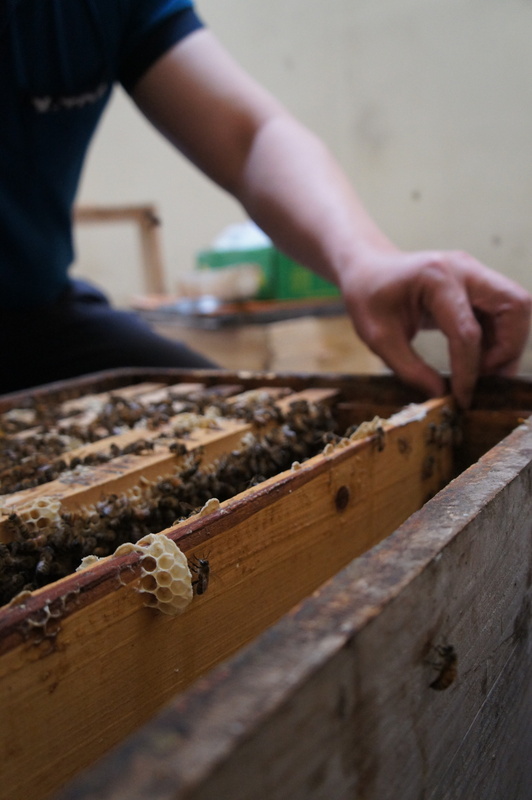 Before I started my internship in Beijing I was merely a honey connoisseur but now I get to work with Bees. 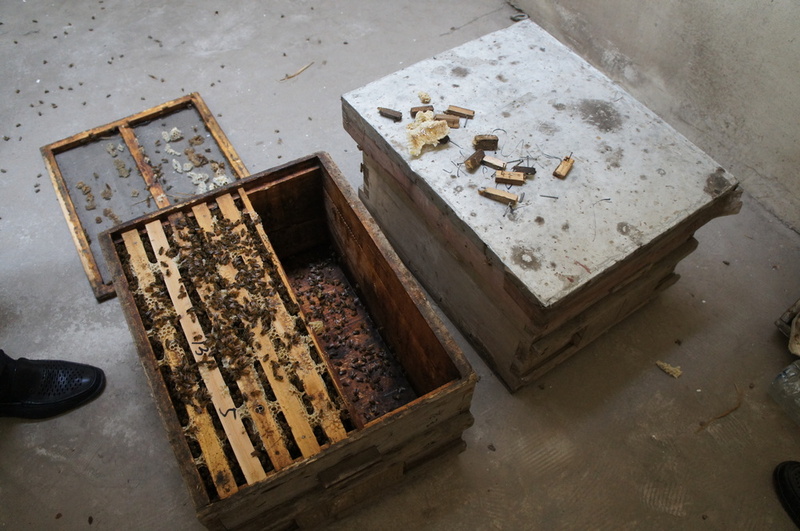 Earlier today Safi (Shangrila owner) and I took apart the hives to check on the bees and see if they are getting enough food to make more honey. 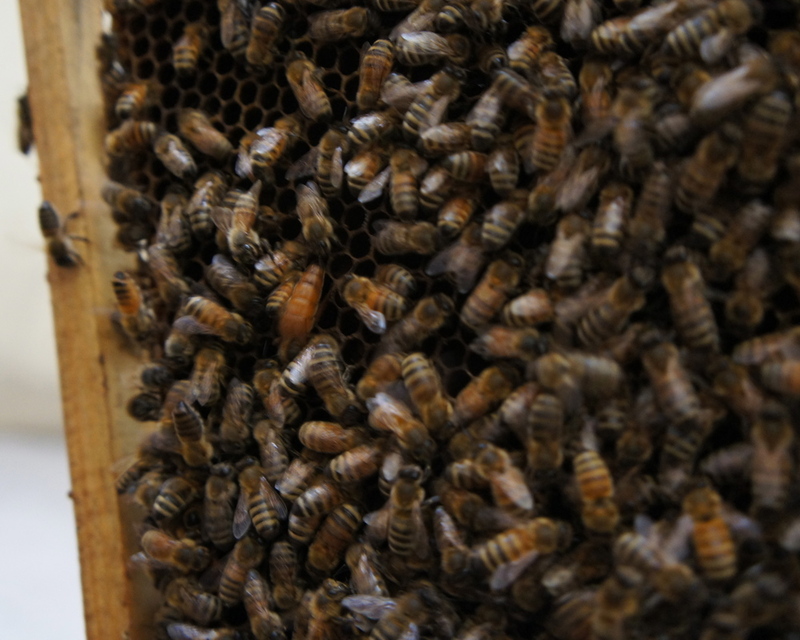 Such a cool experience working first hand with the bees and seeing the process of how honey is made! The bee doctor is here!